Terrestrial and satellite observations confirm that for about 2 weeks weak explosive activity deep within the summit crater has resumed and indicates that magma might have begun to rise again within the volcano. This ends a period of more than six months of remarkable inactivity. It is expected that in the coming weeks or months incandescence will be visible again at the crater during the nights.  The activity levels are so low, that without the help of satellites it would not have been possible to detect the increase in heat from the crater. In addition, about 2 weeks ago, the seasonal melting of ice and snow on the volcano began and produced large volumes of meltwater that drained within and at the base of glaciers. A critical mass of water might have entered the volcano's hydrothermal system. The internal heat evaporates the water in the immediate area of ​​the volcanic conduit and forms condensation on the inner walls above. The condensation phenomenon has been observed in good weather, notably on 16 and 17 January after noon. The detailed analysis of more than 12,000 daily sequential images indicates that no ash emissions have occurred nor landslides in recent months.